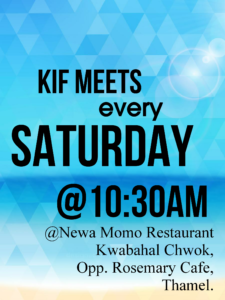 KIF MEETS EVERY SATURDAY AT 10:30 Am. Life is a journey; we meet, we depart; we fall, we rise and at times we feel like life is merely a roll of the dice. Its’ times like these when we need a place where we can make some sense of life, relate to people and share our experiences. KIF is a place where everyone is welcomed, irrespective of their background, nationality or where they are on their journey in life. 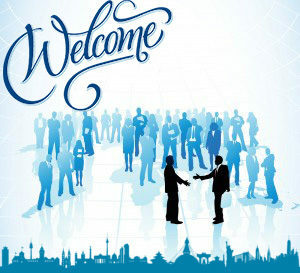 It is a place where people can belong, connect, relate, learn and share with one another without any judgments – we are here to celebrate life together! We believe People are important and everything in the body of Christ is relational. We desire and pursue meaningful relationships. Therefore, whether you are young or old, rich or poor, high or low in life- our doors are always open for you. Please feel free to join us in celebrating life together and being a part of this whole new, rich experience by sharing and learning from one another. Language: The services are held in English. KIF is Funded with its weekly Generous Giving. for the mid-week meeting information please click here. Fellowship Venue: Newa Momo Restaurant, Kwabahal Chowk, Thamel, Opp. Rosemary Kitchen & Coffee Shop. (3 minutes walk from the Narsingh Chowk about 240 meters).